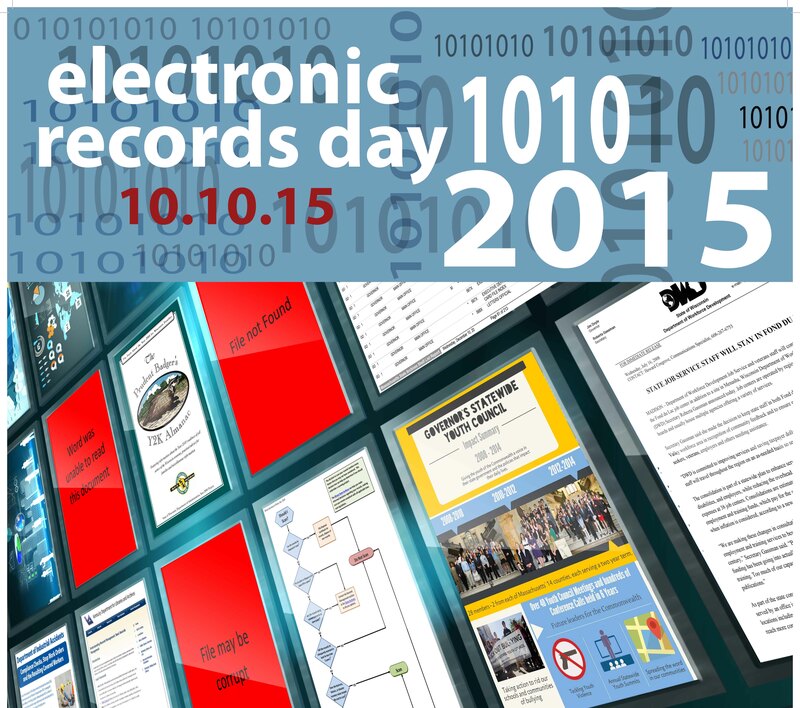 October 10, 2015 is Electronic Records Day – a perfect opportunity to remind ourselves of both the value and the vulnerability of electronic records. If you can’t remember the last time you backed up your digital files, read on for some quick tips on how to preserve your personal digital archive! The Council of State Archivists (CoSA) established Electronic Records Day four years ago to raise awareness in our workplaces and communities about the critical importance of electronic records. While most of us depend daily on instant access to our email, documents, audio-visual files, and social media accounts, not everyone is aware of how fragile that access really is. Essential information can be easily lost if accounts are shut down, files become corrupted, or hard drives crash. The good news is there are steps you can take to ensure that your files are preserved for you to use, and for long-term historical research. Check out CoSA’s Survival Strategies for Personal Digital Records (some great tips include “Focus on your most important files,” “Organize your files by giving individual documents descriptive file names,” and “Organize [digital images] as you create them”). The Bancroft Library’s Digital Collections Unit is dedicated to preserving digital information of long-term significance. You can greatly contribute to these efforts by helping to manage your own electronic legacy, so please take a few minutes this weekend to back up your files (or organize some of those iPhone photos!) Together, we can take good care of our shared digital history.